Cornish Horizons Holiday Cottages is one of Cornwall’s leading accredited holiday cottage agencies, with a great selection of 700 self-catering properties located throughout Cornwall in wonderful coast and countryside locations. The majority of the holiday cottages are annually star graded and inspected under the Original Cottages grading scheme so you can book with confidence. The company prides itself o the local expertise of its team, and with more than 25 years’ experience you can be sure that you’re receiving advice from people who know and love Cornwall. 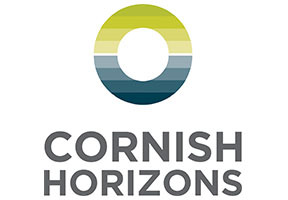 Cornish Horizons has something to offer everyone, and is proud of the choice it can give its customers – whether it’s a dog-friendly fisherman’s cottage in Padstow, a rural converted barn near Newquay, a house with a swimming pool or hot tub, or a five star house by the sea in St Ives. Whatever the size or type of holiday accommodation you’re looking for, Cornish Horizons can help. More than half of the properties accept pets, and a free privilege card offering discounts at attractions and restaurants across the county is given with every booking. For more information visit www.cornishhorizons.co.uk or call 01841 533 331.